Refined programs built on natural language processing (NLP) and machine learning have immense potential to change the current functioning of existing talent management and hiring methods. These applications are commonly called Chatbots and are driven by vast information databases which allow them to carry on persistent interactions with job candidates and collect hefty amounts of candidate data. 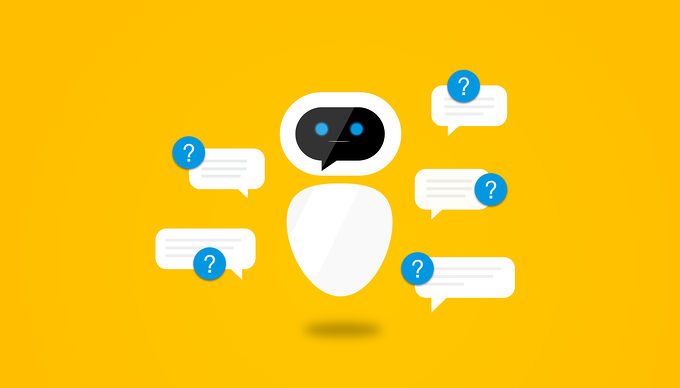 How do Chatbots really help? Well, Chatbots are taking on more of the routine tasks that improve and make the hiring process faster and more efficient. ChatBots provide automatic responses to questions frequently asked by candidates, and can quickly provide the candidate with required information regarding the job role, candidate status and also collect necessary information from candidates like resumes, contact details, etc. ChatBots can be used to guide candidates on the basis of predefined information provided by the company and thus allows the filtering of unnecessary applications and finding those candidates that are most suitable for the given job profile. Research also shows that candidate response and communication with candidates is much faster when a recruitment bot is used rather than when they have to reply to emails during the hiring process. The simple conversational interface design of the chatbots makes it a perfect solution also quickly to collect feedback from candidates most transparently and comfortably. Instead of forms, candidates can share their feedback and queries through chat conversations, which has proved to be a manner to get maximum participation from the millennial generation especially due to its easy use and progressive nature. With the use of NLP and machine learning the chatbot can help recruitment teams get valuable insights into the candidate's qualification, performance, etc. ; without having to spend precious time by going over email after email in for each job profile. The best part is that Chatbots collect real-time analysis to see what kind of questions is frequently asked by candidates. This information can help Talent Acquisition teams understand the general candidate feedback trends and assist them in rectifying areas in their recruitment processes where they are going wrong, which in turn allows talent teams to resolve and improve their process well before things get out of hand. Simple, at the end of the day, we have time wasting methods that require tedious filling out of forms, scanning through emails, etc. as all of this is processed in real time inside the chat interface. Data collected by Chatbots can also be delivered immediately to the respective talent acquisition teams or concerned managers, and they can quickly classify candidates according to their requirements. Chatbots can also set up and collect time details required for the next round of recruitment after a resume/CV check has been completed. They can provide the candidates with links to cognitive assessments if requested by the company and then take the qualifying candidates to video interview rounds after scheduling time for the same. Once the required rounds of evaluation and recruitment are completed, bots can also schedule face to face interviews if required, hence changing the traditional hiring process into one that is quick, efficient and much more organized. Chatbots can also provide unsuccessful candidates with pointers and feedback thus enhancing candidate experience. The simple transition from the traditional and outdated approach to recruitment can increase proficiency by 80% and also reduce company cost by 72%. These numbers themselves are a positive indication that the revolutionized methods that are implemented with the use of Chatbots are the way to progressive and efficient recruitment. Chatbots allow us to replace the repetitive parts in the hiring process and permit the replacement of grunt work with a natural interface.